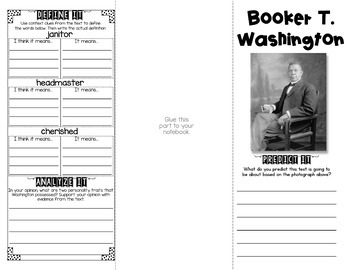 Your students will practice their Reading Comprehension and fluency skills through these Close Reading passages. 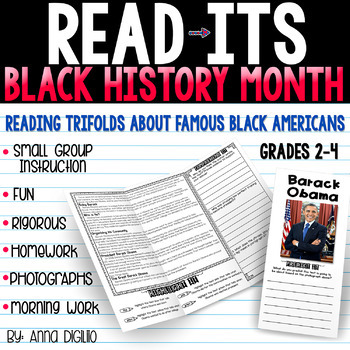 This resource contains 11 Read-Its Trifolds to implement during Black History Month or anytime of the year to celebrate these amazing Americans! 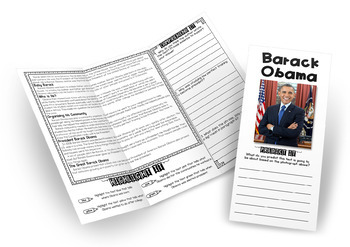 The best part is that these Trifolds fit beautifully into your INTERACTIVE NOTEBOOKS! These Read-Its are perfect to use with your students that have an instructional GUIDED READING LEVEL K/L and higher. 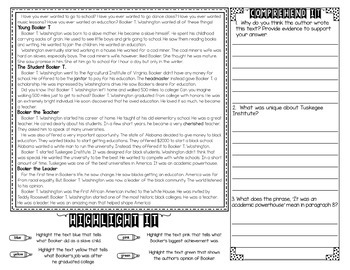 The resource also includes and Annotation Bookmark for your students to use for close reading. These Read-Its Trifolds are PERFECT to implement during Guided Reading groups, for Close Reading practice, for morning work, and/or for homework! They are RIGOROUS, FUN, and INTERACTIVE!